Mr Mansell travelled from his home in Jersey to support 25-year-old Greg, who has taken to speed on two wheels where his father found fame on four. Mr Mansell was crowned Formula 1 champion in 1992 while racing with the Williams team and won the CART Indy Car World Series the following year – the only person to have held both titles simultaneously. He conceded his son would not hit the kind of speeds he did on famous circuits like England’s Silverstone and Germany’s Hockenheim. The bike racing was held on Front Street last night, with his son Greg winning bronze in the criterium. Mr Mansell has lived on Jersey in the Channel Islands for around 20 years. He has also raced with Greg and his older son Leo in the famous 24 Hours of Le Mans race in 2010. Mr Mansell also raced for Italian team Ferrari, being the last driver personally picked by the famous founder Enzo Ferrari before he died. 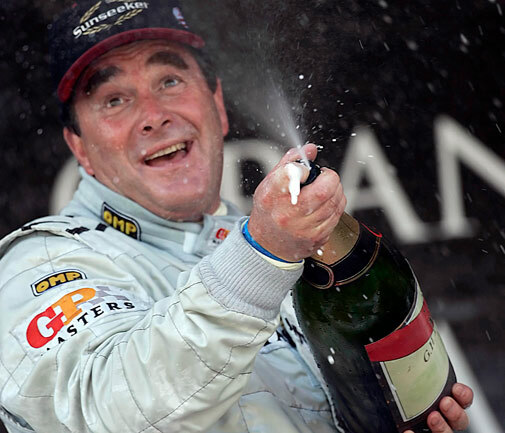 Mansell is fifth overall in the Grands Prix winners’ list behind Michael Schumaker, Alain Prost, Ayrton Senna and Fernando Alonso.